I have spent the last week engaged in an activity that I and others in the Gullah/Geechee Nation find ourselves in the midst of during the hurricane season annually-staying tuned to the Weather Channel. I found myself truly engaged in social media for up-to-the-minute accurate coverage from people literally on the ground or in the waters as rain fell and tides rose and we got flash flood warnings on TV, on cell phones, and from family and friends. I found myself truly appreciating and living the scripture 1 Thessalonians 5:17: “Pray without ceasing.” for I know that the “prayers of the righteous availeth much” and webe Gullah/Geechee anointed people. I found myself tuning my soul in as numerous spirituals came to mind and I realized that my elders and my ancestors had passed on this tradition that centers me in the midst of these times. As I posted and prayed and checked the island for flooding, I thought of all the work that I had been led to do over the years to awaken people to how sensitive the Carolinas, Georgia, and Florida are to the various weather incidents, sea level rise, climate change, and ocean acidification dynamics that have been taking place. Some were willing to listen and a few have engaged in physical work to help us restore and protect the Gullah/Geechee Nation‘s coastline and even few have donated financially to the on-going work in this regard. However, there were the masses that did not see and feel what those of us whose hearts seem to be syncopated with the rise and fall of the tides along the coast are able to see. They literally needed a disaster to pay attention to what the “natives” have said in regard to not building where they build and not playing and recreating on sacred ground. Unfortunately, it took the national news to make folks sit up and pay attention and they started to do what happens time and time again-react. Massive amounts of folks tend to be reactionary and not pro-active which makes this literally rising problem that much more difficult to contend with. The massive rainfall ended an extended drought due, but sewage and contaminants were now surfacing and flowing right along with waters that now filled and submerged roads, highways, yards, and homes. My mind went again to the work that the Gullah/Geechee Sustainability Think Tank has undertaken over the past five years and how we most recently have naturally or Divinely shifted our primary focus to seafood safety and human health. In a case like this, the human health of the Gullah/Geechee Nation pertains not only to how we will cleanup and restore the coast after this massive historic flooding incident, but how the Gullah/Geechee family is holding up mentally after witnessing and feeling the impacts of this. I prayed some more. Just as things started drying out a bit, it rained again yesterday and folks paused, breathed, and prayed. The biggest thing I took note of was that once again we stayed. We stayed at home on the islands and in the Gullah/Geechee townships with family and friends. We held together as a community and we’ve drawn on our cultural traditions to protect ourselves during the storms and to now bring ourselves out of the storm and to a higher level of consciousness in regard to how we will now continue to protect our cultural heritage resources as the weather continues to change. One thing for sure is Gullah/Geechees will once again weather the storm and we culcha ain gwine nowhey tall tall. No matter what flows in, it will not take us out! AMEN! 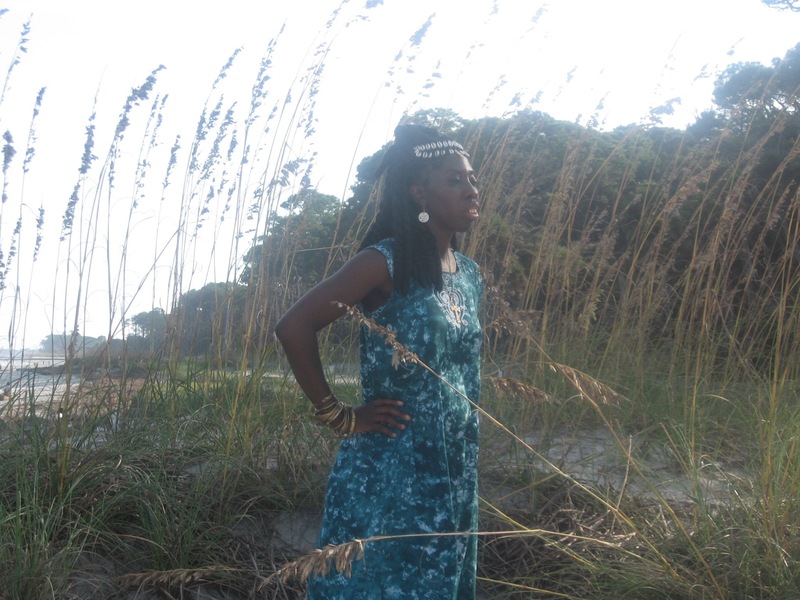 The Gullah/Geechee Sea Island Coalition (www.gullahgeechee.net) which Queen Quet founded is the leading Gullah/Geechee organization focused on environmental, environmental justice, and equity issues. The organization’s membership is open to people around the world. Please email GullGeeCo@aol.com to receive a membership form or to contribute to their on-going environmental and cultural heritage resource sustainability efforts. ← 33rd Annual Heritage Days Celebration on Historic St. Helena Island in the Gullah/Geechee Nation! Wonderful to hear that all is well back home. Raise your heads up, for your deliverance is getting near, my people. Peace.